You may well have seen my write up on the Vorwerk Kobold VK200 Home Cleaning System, but if you didn’t you will be unaware of how it makes mince meat of cleaning your house! Never has my house sparkled as much since using the system and never did I assume I would enjoy doing the housework as much. That even includes dry cleaning my mattress with the delicately fragrance of the Lavenia dry cleaner powder! Not something I had ever considered before, the most I ever did was vacuum my mattress, however after reviewing the system I realised that I need to look after my mattress for it to look after me and ensuring a good night’s sleep! 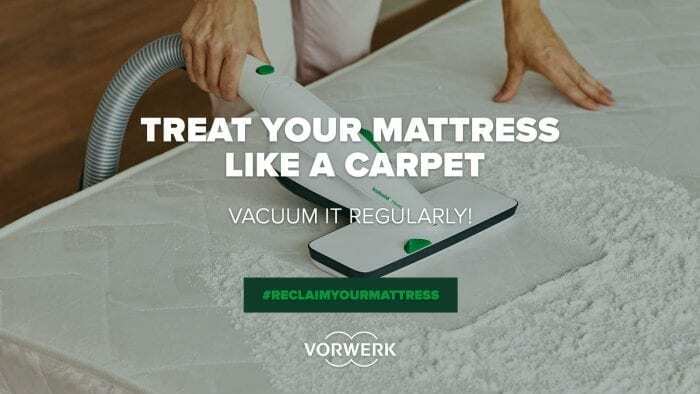 As March is National Bed Month, Vorwerk have a dedicated campaign running on their website (www.yourvorwerk.co.uk/mattress) between 13th – 26th March, offering advice on how to #ReclaimYourMattress and giving you the opportunity to win a Kobold VK200 with mattress cleaning set. The easiest way to keep your mattresses on top form is to make cleaning them part of your routine. Just like you vacuum your carpets regularly, you should also take time to vacuum your mattresses and at the very least, remove all the surface dirt. It needn’t be a chore; simply remove any mattress protectors or toppers and use your regular vacuum cleaner to roll backwards and forwards over the mattress for one minute. Whilst vacuuming your mattress will remove surface dirt effectively, dry cleaning it will ensure that you achieve a thorough, deep clean and leave each one sanitised and hygienic. Research shows that the average household mattress contains large amounts of dead skin cells, mould spores, sweat and droppings from millions of dust mites; all of which build up over the years! Consider investing in a specialist mattress cleaning kit, such as that featured as part of the Vorwerk VK200 vacuum cleaner. It uses specially designed cleaning powder and two cleaning heads; the MP440 that massages the cleaning powder into your mattress, and the MR440 that vibrates to loosen the dirt from the mattress surface, sucking away allergy-causing micro particles and leaving the mattress clean and sanitised. You should rotate and flip your mattress at least every quarter whilst cleaning it. This may sound like a tedious job, but doing so will ensure your mattress is as clean as can be. Plus, by evening out the wear, you’ll help to prolong the life of your mattresses and you won’t have to replace it as frequently! Avoid getting your mattress wet, even when cleaning it. Not only are they extremely tricky to dry out, but a moist mattress is also a breeding ground for mould and mildew and a sure fire way to receive complaints from family and friends staying over! If you do need to use water to remove a stain, use as little as possible and then use a fan to ensure that the mattress is completely dry before re-covering it. At the end of the day (or night! ), dry cleaning is always the best method. With the average person sweating out approximately half a pint of perspiration every night, deodorising your mattress regularly to keep it smelling fresh is essential. A clever way to do this is to sift baking soda over the mattress, leave it for thirty minutes and then vacuum away using your regular vac. If you love to host guests, then mattress protectors are one of the best investments you can make. Not only do they offer an additional layer of protection against spills and stains, but they also help prevent perspiration, oils from our skin and dead skin cells penetrating the mattress. Take them off and throw them in the washing machine once a month to ensure that they stay clean and stain free. We lose half a pint of fluid (sometimes more!) every night – most of which ends up in our mattresses. 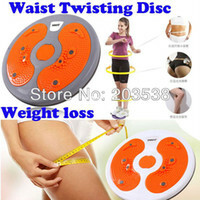 We lose a pound of skin (sometimes more!) when asleep every year – making our beds a favourite breeding ground for the common dust mite. It may actually spur you on a little to #ReclaimYourMattress! Don’t forget to check out more details on the Vorwerk site between 13th and 26th March and also enter their giveaway to win a VK200! A collaborative post with Vorwerk in aid of National Bed Month.